Weekly Game Locations, Triangle Go Group and surrounding areas. 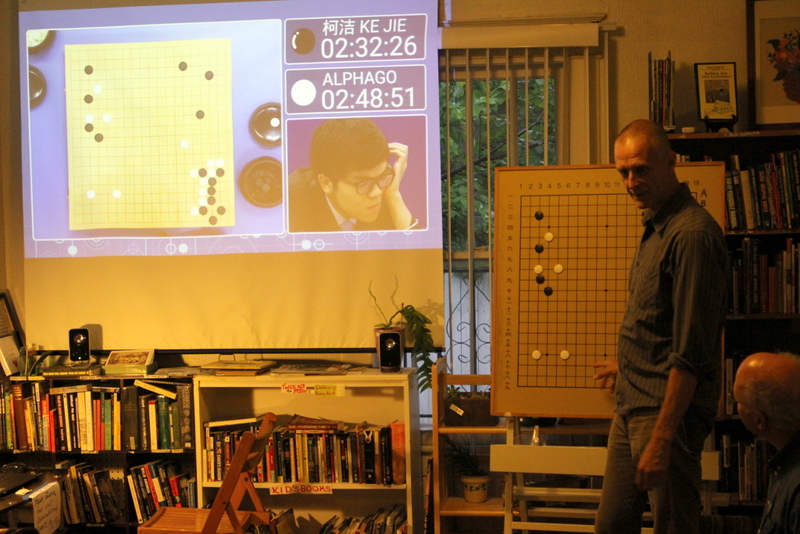 A dozen Go aficionados gathered in Durham Wednesday night, May 24, to review and discuss game one between Chinese and world champion Ke Jie 9P and Google DeepMind's AlphaGo. 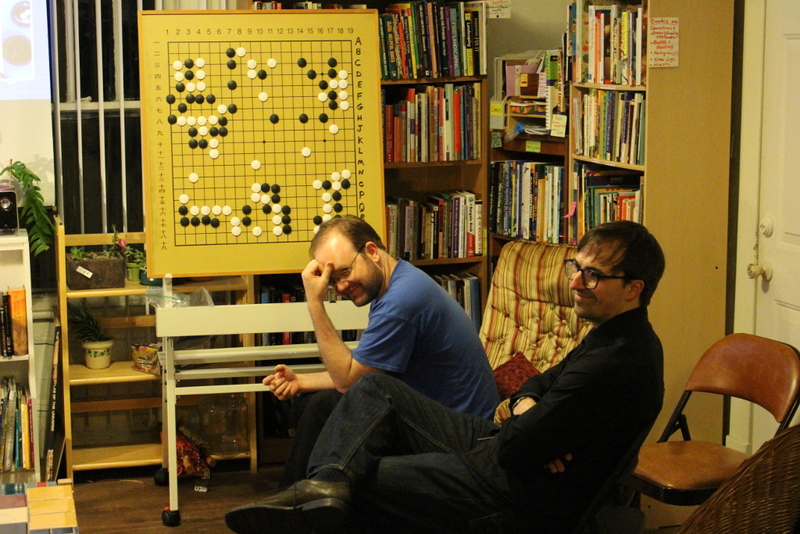 We agreed that it was a heroic battle, exciting to the very end, and many of us admitted staying awake until 3 AM the actual night of the event, unable to drag ourselves away from the screen. We viewed recordings of the commentary provided by Michael Redmond 9P, Haijin Lee 4P, Stephanie Yin 1P and Andrew Jackson 4D, discussed the play, and worked out possible alternatives on a demo board. 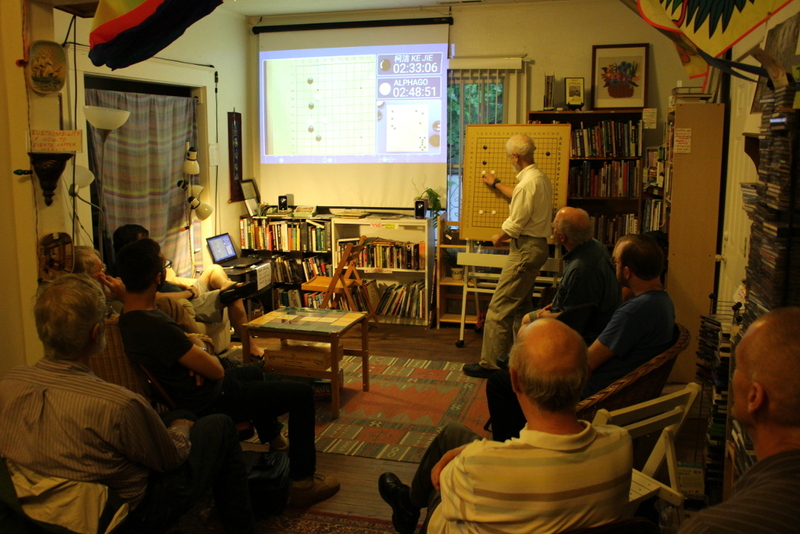 A surprise and very welcome guest to our Durham event was international Go celebrity Cole Pruitt, the co-director and producer of "The Surrounding Game." 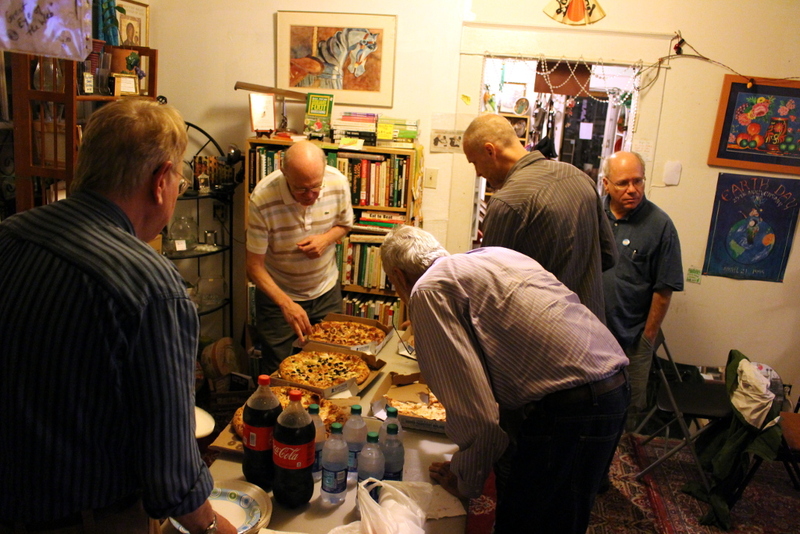 We devoured pizza generously provided by the AGA as we witnessed another milestone in the history of Go. Events like this help add to the strength, longevity and cohesiveness of the chapters and the AGA as a whole.